Tamburlaine is more than a remarkable hotel – it is a marvellously elegant destination where in-the-know locals and discerning visitors love to meet, work, rest, and stay – perfect for your team building events. Whether you’re calling in for a casual coffee or staying for a few sleeps, Tamburlaine Hotel invites you to settle in and feel at home. Experience the buzz of the Bar and Restaurant, or bask in the grandeur of the Garden Room. Perk up in Steam Deli, or take a moment to yourself in the restful calm of the Library. Ideal for many teambuilding activities, like The Killing, Around the World, Awakening the Dead, Stocks in the City, Mixology, The Ultimate Team Build, Get in the Zone, to name but a few. Tamburlaine Hotel rewrites the rules of hotel dining with 4 stunning venues offering distinctly different moods and menus. The neighbourhood is both vibrant and lively, notably the nearby Botanic gardens. 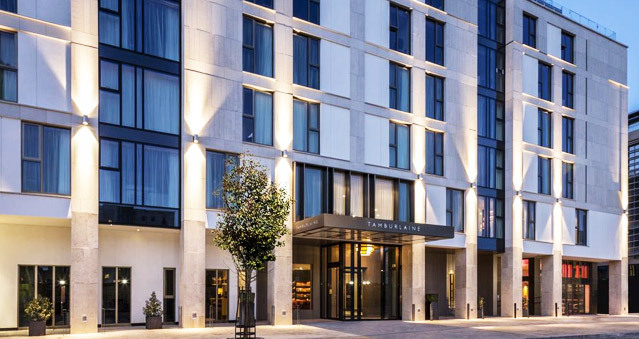 Location: 1 minute walk from Cambridge railway station (mainline trains to London’s Liverpool Street and St Pancras), 10 minute walk from Cambridge city centre.